 Tying the March Brown Wet Fly with Davie McPhail. 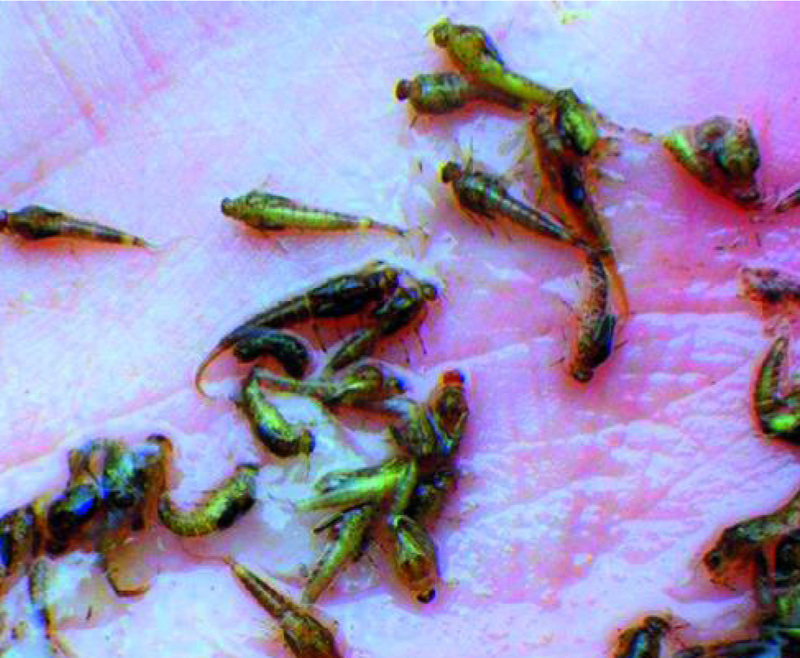 As the new trout season begins, it's important to be aware of what's hatching so you can align your tactics and make sure you have the right flies in your fly box. 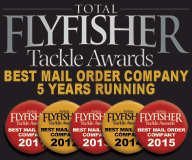 The March Brown is synonymous with the new season and is one of the most important patterns to have in your fly box, however, Large Dark Olives adorn our early season rivers and offer a good chance of a trophy trout. Of all the upwing species found on rivers, large dark olives (Baetis Rhodani) are perhaps the commonest and most predictable when it comes to pinning down a hatch. Often referred to as a ‘foul weather fly,’ they’re happiest emerging in miserable conditions too. Although March, April and early May see large dark olives (LDOs) at their most prolific, a second brood can be expected in Autumn with September and October considered prime months. 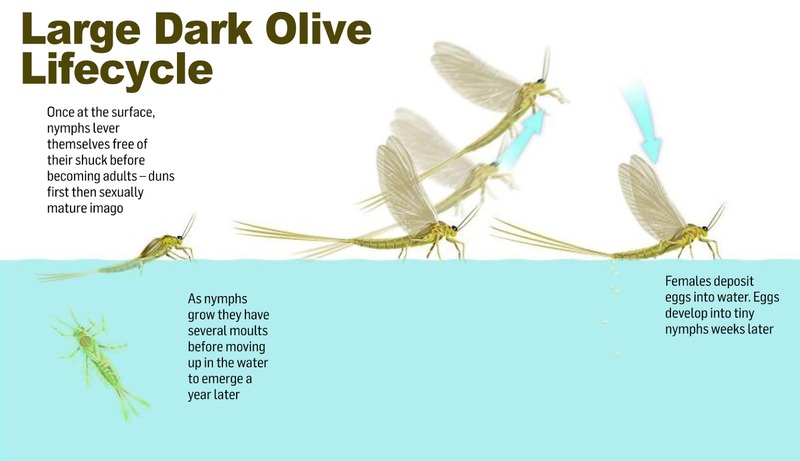 Come the following year, nymphs ascend to the surface in open water. Inevitably they’re extremely susceptible to predation from trout and grayling now. Once at the surface, nymphs lever themselves free of their shuck before pumping fluid around their bodies to unfold crumpled wings. Waiting for their wings to harden (not dry) so they can become airborne, the duns (sub imago) perilously ride the surface for several minutes. Again, trout are quick to take advantage. As duns (sub imagos) are incapable of mating, they undergo a final transformation into a sexually mature adult, known as the 'spinner' (imago). A curious dark mahogany colour now, male and female spinners don’t waste time in mating. This literally takes place in days as these adults typically live for 24-36 hours and are unable to feed or take on liquids. Following mating, female spinners deposit their eggs along the margins. 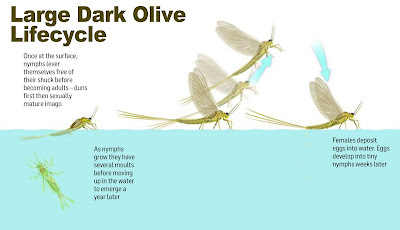 Unlike mayflies or blue-winged olives that egg-lay en masse in open water, it’s thought large darks return in dribs and drabs, so nothing much in the way of a full-blown spinner fall occurs. 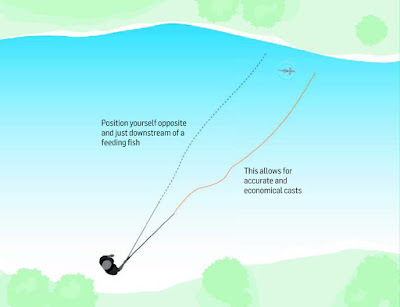 Tactics As mentioned above, fish will target ascending nymphs, making subsurface tactics worthwhile. 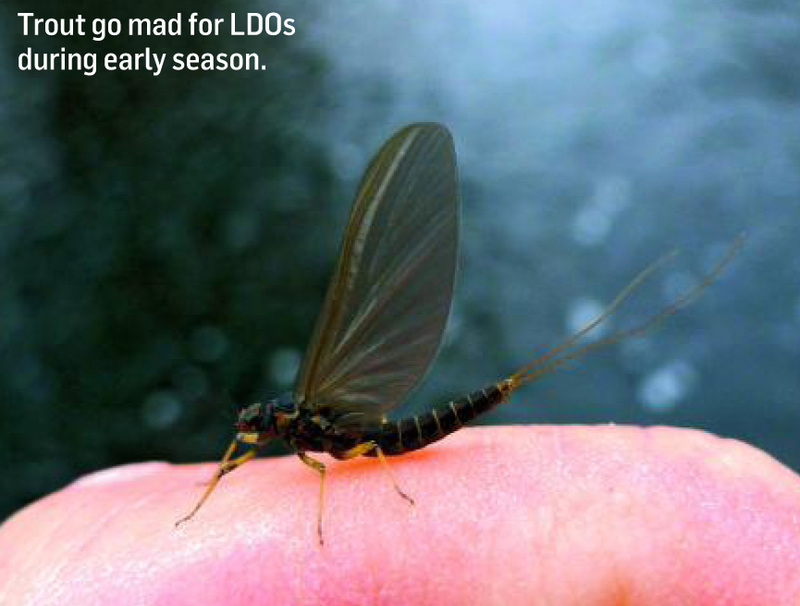 However, as hatches of LDOs tend to be dense, then the prolonged activity is frequently experienced at the surface. 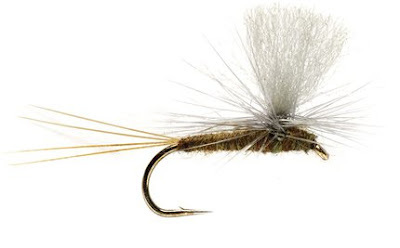 Given this, dry fly methods are not only productive but are an extremely enjoyable way to fool trout. 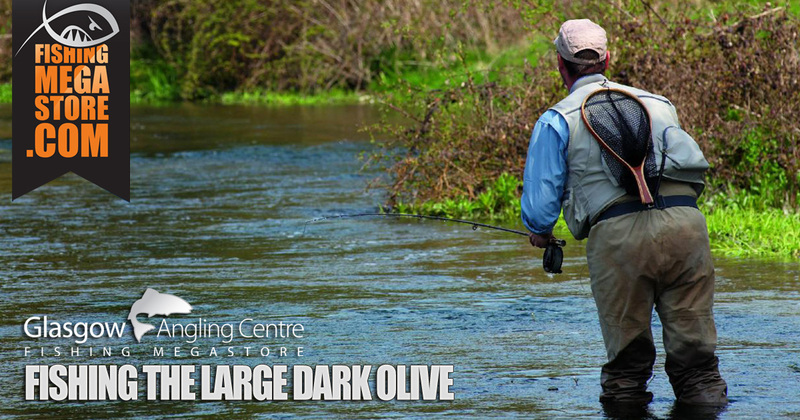 With its low-riding profile and conspicuous wing post, you won’t go far wrong with a size 14 Olive Paradun pattern. 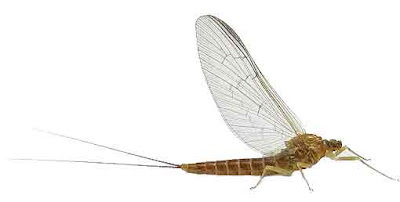 What’s more, as it sits in the surface film, a Paradun passes off as a struggling emerger or drowned adult.  For presentation purposes, a single fly is best knotted to a 14-foot tapered leader. Such a leader has sufficient length to help avoid drag, yet is not overly long to make it a nuisance in a breeze. 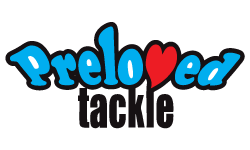 Also fish with a floating fly line such as an Airflo 2019 Sixth Sense, Greys Platinum Extreme, or a Rio Mainstream.  Aim to create a loop that will sufficiently and gently land the fly slightly upstream of rising fish. 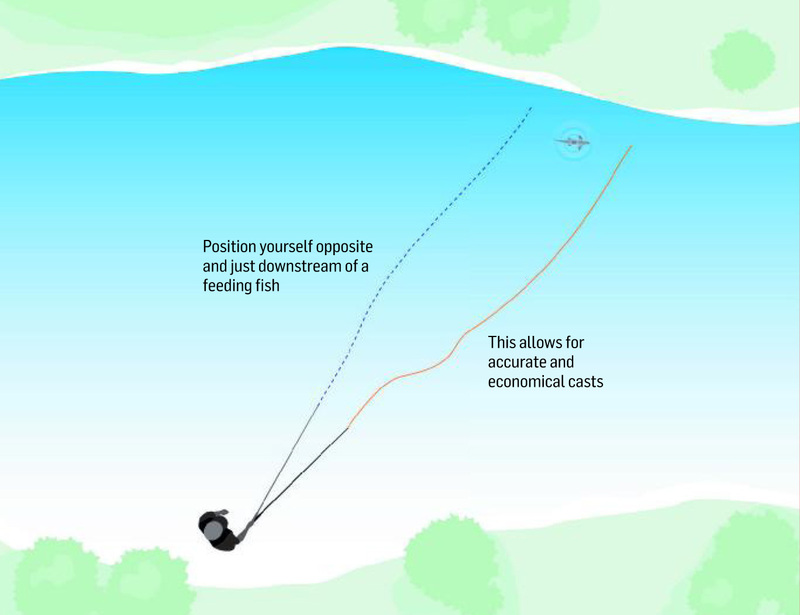 Also, position yourself opposite and just downstream of a feeding fish (see diagram above). This way both accurate and economical casts are achieved.  It’s no use letting your fly drift several yards away from the target area, as a fair amount of line retrieval and false casts are required to get it back to where the fish are seen rising. 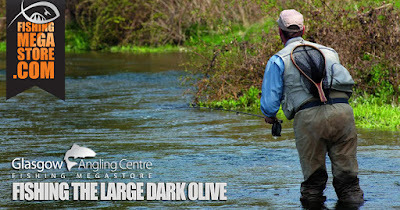 So don't ignore the large dark olive at the start of the season. 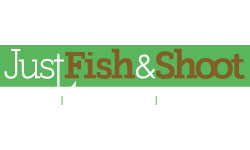 Become familiar with its lifecycle, try to identify them on the bankside, make sure you stock up with plenty in your fly box, and enjoy the satisfaction of catching a trout by matching the hatch and fishing imitatively.